Welcome! 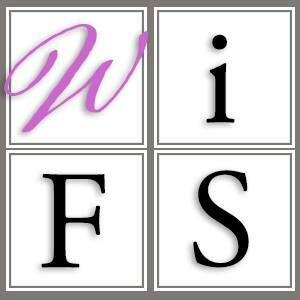 I am so excited to introduce the world to Women in Funeral Service (WIFS). To the women who have been following the Women in Funeral Service Facebook page and group, thank you for your continued support in our effort to develop women into trailblazers and trend setters in this ever-changing, ever-growing industry. I am passionate about funeral service. Women in Funeral Service was birthed out of that passion and my desire to help women with the same passion navigate their way through the industry. From the woman thinking of funeral service as an option for a career change, to the woman who has been serving for many years, Women in Funeral Service is designed to meet every woman right where she is and provide support to help propel her to where she wants to be. Women are changing the face of this once male-dominated profession. According to a study of industry trends by the National Funeral Directors Association (NFDA), fifty-seven percent of mortuary school students are women. As the climate of the industry changes, we must prepare ourselves to meet industry demands while maintaining the quality in service expected by the families we serve. As we grow, I will be providing valuable cutting-edge information on how you can be the most prepared, well-rounded and effective Funeral Director possible. From educational opportunities to self-care tips and spiritual awareness, the goal of this blog is to be the premier source of information for the professional woman. I will be sharing my personal journey both experiential and educational—giving you the “411” on the do’s and don’ts of the industry. I am a firm believer that knowledge is what you gain from your experiences; wisdom is what you gain from the experiences of others. Understanding is the ability to use both knowledge and wisdom to your advantage. So buckle your seatbelt and get ready to take this adventure with me! As you learn and grow, be sure to share this information with other women that you feel may benefit. After all, we are all in this together.